In our household, we own one cell phone – it’s a pay-as-you-go phone that we carry with us for emergency purposes whenever we go out. Rather than put our faith in any of the products on the market that claim to provide protection against radio frequency radiation, we feel that it’s prudent to stay away from cell phones whenever possible. 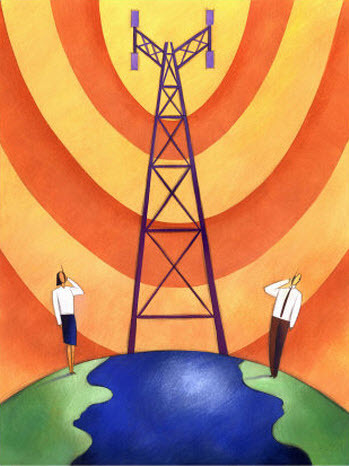 Unfortunately, many of us have little control over the location of cell phone towers and other broadcasting antennas that emit powerful radio frequency waves. 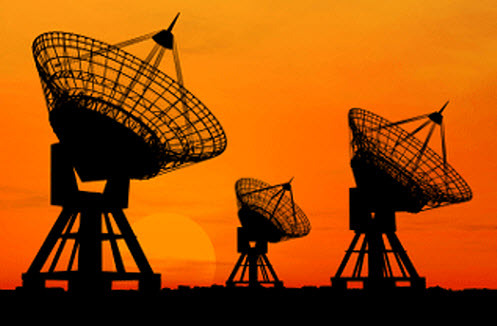 If you know of or discover any resources that our readers can use to locate such towers and antennas in their local areas, please share this information in the comments section below. By increasing public awareness of this issue, we stand a greater chance of having municipal, state/provincial, and federal governments do a better job of regulating the placement of cell phone towers and antennas. Governments in Austria, Switzerland, and many Eastern European countries have already created protective standards for human exposure to radio frequency radiation. In Scotland, towers are not allowed to be located near hospitals, schools, and homes. The history of cell phones goes back more than 20 years, but they were nowhere near as prevalent back then than they are today. 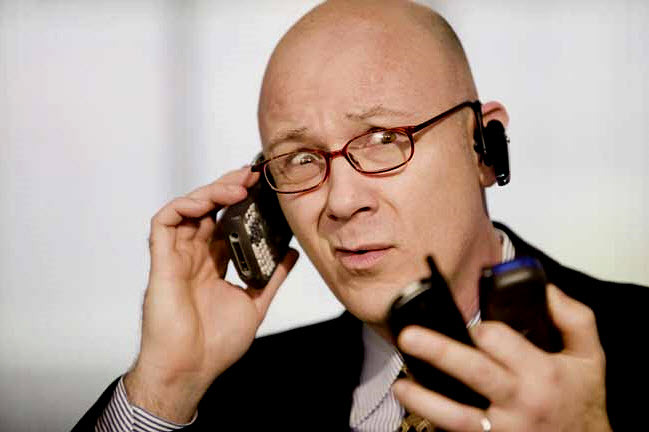 The first mobile phones, largely manufactured by Motorola, were used by businesspeople and other folks who absolutely had to stay connected with the office. As the technology got more affordable, consumers started to get in on the cellular action and it just started to snowball. In order to satisfy the needs of this growing demographic, cellular providers such as T-Mobile and Sprint had to erect more towers. 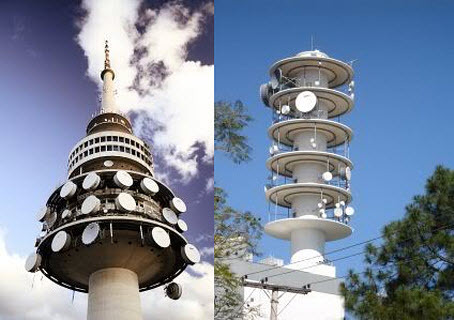 Without more towers, they would not be able to offer decent reception and uninterrupted service. Early towers were few and far between, but the number of cell “sites” has increased more than tenfold since 1994. At this alarming rate of growth, it is nearly impossible to gauge the possible dangers of cell phone towers. What was safe in 1993 may not be safe today, given the much higher level of radiation we are exposed to on a daily basis. With our increasing need to stay connected, many of us are forgetting about the possible dangers of cell phone towers. There have been several reports of people who have suffered a variety of conditions, possibly as a result of living near cell towers. The building biologist judged the only truly safe area in our home to be the basement. Due to my previous chemical sensitivity and mercury poisoning, I decided I had to move out of that location as soon as possible. I searched for an area fairly near where I had lived which had few if any microwave transmission towers. I was able to find this in a single family home area, where the nearest towers were on very high buildings about a mile away. After moving into my new place, I noticed immediately that I felt normal when I woke up. I didn’t have the feeling of fragility, weakness, or fatigue. On the other hand, I felt very angry that I had been forced to leave my home because of the reckless technology and greed of the cell phone industry. Within three to five years there probably will be clusters of serous illnesses in many areas around these towers, especially ones which are low lying. Other symptoms which I located by looking on the Internet under cell phone towers were: brain fog, dizziness, excessive sense of smell, sinus headaches, and many others. Other residents of the block had serious symptoms also. The block captain, living in a row house some 20 houses away from mine, experienced similar sick fatigue symptoms. My neighbor immediately to my right, a woman 38 years old, had a heart attack. As I said before, I developed arrhythmia which was diagnosed as an infection in the heart. Coincidences? I think not. I am concerned about the babies and children on the block. The EMR waves are particularly dangerous for both the very young and the old. 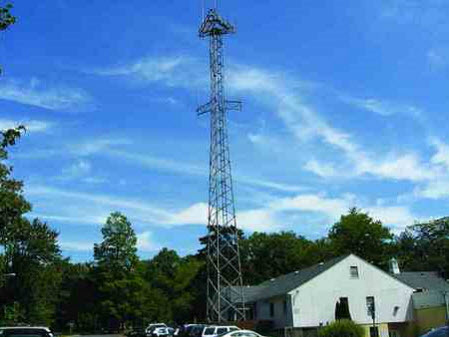 In December 2003, six 15- foot cell phone transmissions towers were put up on the roof of the three story apartment building across the driveway from my three level apartment building of row homes in Philadelphia. They were only 50 feet away from my house, appeared to be aimed at the back bedrooms of the row homes and were eye-level with my bedroom window. T-Mobil, the company that erected the towers, was paying the owner of the apartment across the street $7,000 month for the use of the roof space. The neighbors were given no notice; there was no zoning application that we knew of. For a few months my partner and I did not notice any particular symptoms, but it was in May or June, when sitting in the living room, I noticed that my entire body was strangely heating up. My partner noticed the same thing at around the same time. To me the symptoms were unmistakable because I was familiar with some of them from having looked up the subject of cell phone towers and health on the Internet- tissue heating and intense, unnatural fatigue were two early symptoms, along with an excessive sense of smell. I developed a marked increase in my sense of smell. At work, I was able to smell what people had cooked hours before. In the summer, I noticed that though I got the same amount of sleep as before, I had a sleepless feeling and dark circles under my eyes. I woke up feeling just as tired as I had been the night before because my sleep cycle was being constantly interrupted. My partner noticed this also. We both began having times when we would experience a sick fatigue where we couldn’t move for an hour or two at the end of the day. My partner, generally healthier than I, noticed episodes of “sick fatigue” during which he would literally be unable to get up from the couch or chair he was in. This would last for two or more hours. I had the same problem. I also noticed a very bizarre effect- that of hearing some sort of whizzing noise which would be almost subliminal. He noticed a peculiar symptom at one point- intermittent spots of light. When Mom asked me to look into possible health hazards posed by cell phone panel antennas that a church in her neighborhood wants to put up, I expected to find reassuring facts to allay Mom’s concerns. Instead, I found deeply disturbing data that makes me wonder why the public is not being informed about health risks and why our government seems intent on covering up troubling truths. Cell phone companies and the U.S. Food and Drug Administration assert that cell phone towers don’t pose health risks to the public. Some studies support this assertion, but other studies suggest just the opposite. Harvard-trained Dr. Andrew Weil at the University of Arizona’s medical center recently observed, “In January 2008, the National Research Council (NRC), an arm of the National Academy of Sciences and the National Academy of Engineering, issued a report saying that we simply don’t know enough about the potential health risks of long-term exposure to RF energy from cell phones themselves, cell towers, television towers, and other components of our communications system. The scientists who prepared the report emphasized, in particular, the unknown risks to the health of children, pregnant women, and fetuses as well as of workers whose jobs entail high exposure to RF (radiofrequency) energy. Because so much of cell phone technology is new and evolving, we don’t have data on the consequences of 10, 20 or 30 years worth of exposure to the RF energy they emit,” Weil concluded. Phillips says, for instance, that sometimes the body will respond to radiation by initiating a series of intrinsic repair mechanisms designed to fix the harmful effects. In other words, the effects from radiation exposure may be different in different people. And these varied responses may help explain the contradictory results, says Phillips, who is now director of the Science/Health Science Learning Center at the University of Colorado at Colorado Springs. There is plenty of anecdotal evidence out there claiming a link between cell phone use and cancer: Keith Black, chairman of neurosurgery at Cedars-Sinai Medical Center in Los Angeles, says that the brain cancer (malignant glioma) that killed O. J. Simpson’s attorney, Johnnie Cochran, was the result of frequent cell phone use, based on the fact that the tumor developed on the side of the head against which he held his phone. And in May, a week after Massachusetts Sen. Edward Kennedy was diagnosed with a glioma, The EMR Policy Institute, a Marshfield, Vt.–based nonprofit organization that supports research on the effects of electromagnetic radiation, released a statement linking his tumor to heavy cell phone use. But the NCI maintains that there is no definitive evidence that cell phones increase cancer risk. In other words, the verdict is still out. “We can’t rule out the possibility of risk,” Nottingham’s Challis says. “There hadn’t been as much work in this area as is now demanded. IARC in 2000 launched a study called Interphone, funded by the European Union, the International Union against Cancer and other national and local funding bodies. Interphone compared surveyed cell phone use in 6,420 people with brain tumors to that of 7,658 healthy people in 13 developed countries—Australia, Canada, Denmark, Finland, France, Germany, Israel, Italy, Japan, New Zealand, Norway, Sweden and the U.K.—to try to determine whether people with brain tumors had used their cell phones more than healthy people, an association that might suggest that cell phones caused the tumors. The results are expected by the end of this year. “The interpretation of the results is not simple because of a number of potential biases which can affect the results,” says project leader Elisabeth Cardis, a professor at the Center for Research in Environmental Epidemiology at the Barcelona Biomedical Research Park. “These analyses are complex and have, unfortunately, taken much time.” Among factors that might skew the results: failure of participants—especially those with tumors—to accurately recall exactly how long and often they talk on their cell phones. The debate became so heated at one point that Rep. Dennis Kucinich (D–Ohio), who called the hearing, snapped at Hoover for interrupting David Carpenter, director of the Institute for Health and the Environment at the University at Albany, State University of New York, as he argued there was enough evidence to warrant more scrutiny and a government warning of potential damage. Cell phones use non-ionizing radiation, which differs from the ionizing radiation of x-rays and radioactive material in that it does not have enough energy to knock around—or ionize—electrons or particles in atoms. 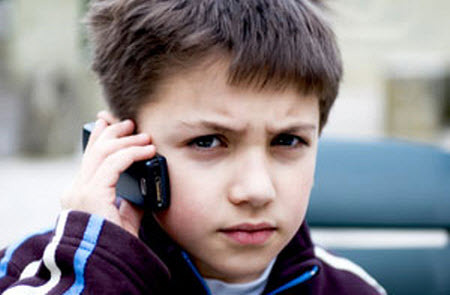 Cell phone radiation falls into the same band of nonionizing radio frequency as microwaves used to heat or cook food. But Jorn Olsen, chair of epidemiology at the University of California, Los Angeles, School of Public Health says that unlike microwaves, cell phones do not release enough radiation or energy to damage DNA or genetic material, which can lead to cancer.